The WSM06020Z-01J is a solenoid directional valve, poppet type and pilot operated. 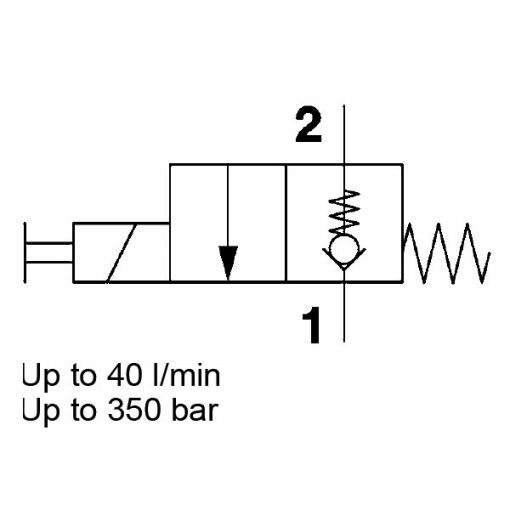 When the solenoid coil has no more energy, it closes the valve from port 2 to port 1. Flow can run from port 1 to port 2. 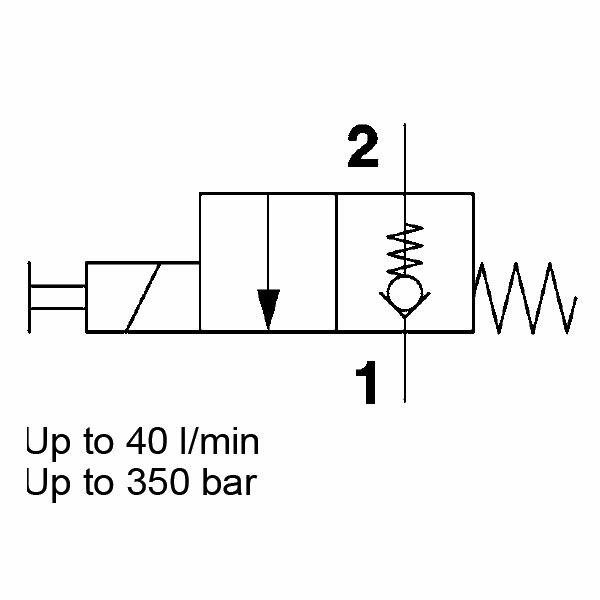 The valve piston opens at a differential pressure of approx. 1.5 bar (check function). When energized, there is free flow through the valve from port 2 to 1. Therefore, prevention of the flow from port 1 to 2 happens.